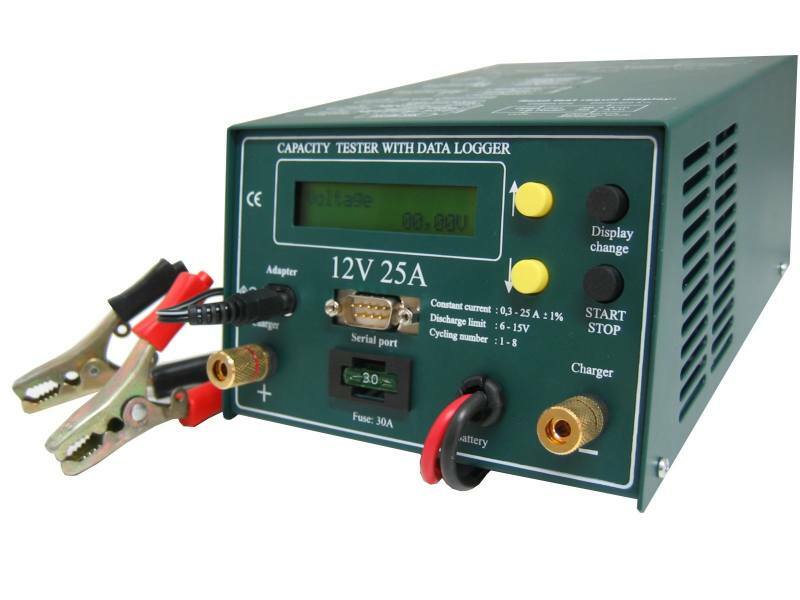 With this processor controlled capacity tester you can measure the capacity of the batteries. You can set the cut off voltage (The voltage limit where you want to stop the discharge), the discharging current, and the charging time between the cycles. You can program 1-8 cycles. 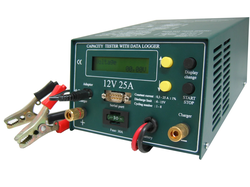 The tester measures the charged / discharged Ah and the elapsed time since the start of each cycle. After the charging/discharging process you can connect it to your PC via RS 232, and draw the accurate charging-discharging curves. These curves tell you everything about the battery and about the charger. You can see the TRUE charging characteristics, print it, or make professional test paper about the whole charging-discharging process. You can also zoom any part of the curve or export the measured data to Microsoft Excel (.xls) file.